As I mentioned in a previous post, I’m now working with someone who has a couple of NFL handicapping programs. These are written in APL and only run on Windows machines. I have to install these programs, so I can see how they work. But I don’t currently have a running Windows machine. But I do have a Windows 7 virtual machine which runs on VirtualBox. Great! But, oh, wait, I haven’t used this VM in ages, and I don’t remember the password. So a little googling for “windows 7 virtualbox password” brings me to top-password.com. Don’t get all excited, now. It’s a dud. They tell you how you can download their program pcunlocker.iso, and they show you how to do this with VirtualBox, even. And you follow along, and just as you’re about to reset your password… Like Lucy taking the ball away just as Charlie Brown is about to kick it… A dialog box appears telling you that yes, it’s compatible, and they could reset the password, but you’ll have to purchase the pro version first. This is just the trial version, with the built-in ball removal mechanism. I wish I could tell you I didn’t even look at the price. In fact, I didn’t until I started writing this post. So we’ll get back to the price in a bit. For now, let’s talk about how to actually reset the Windows 7 password. For free. And without Top-Password.com and their pcunlocker.iso crapware. 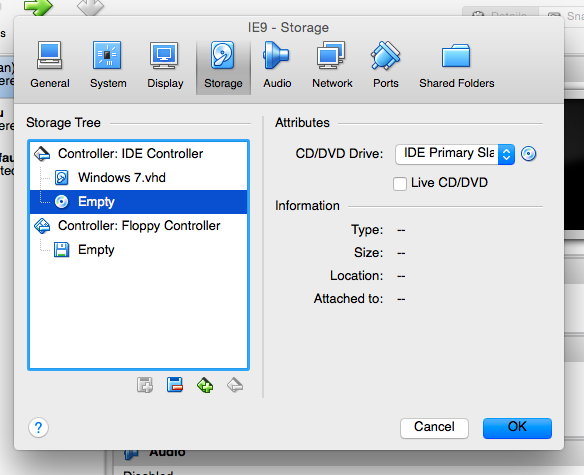 In Settings you select the Storage tab, and click on the CD icon in the Storage Tree on the left. Then click on the CD icon on the right. And we select the default action. You’re welcome to select other actions, but I haven’t tested them out, and you’re pretty much on your own. 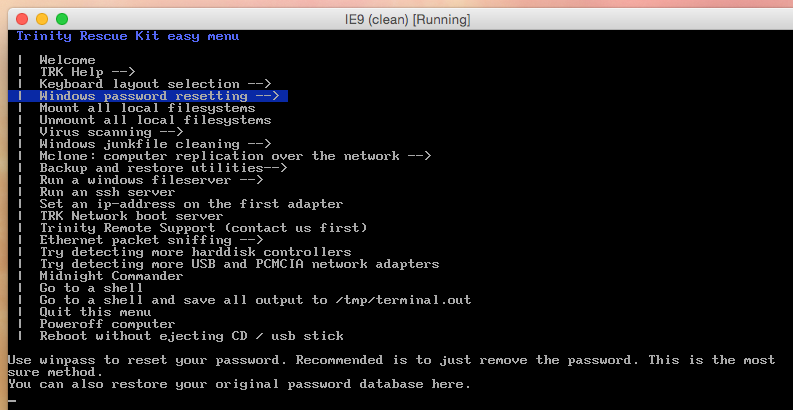 It does some jiggery-pokery, showing you the user names in your partition. Remember we’d selected the default action, which was to reset the Adminitrator user name to blank. Well, I’d done that before taking these screen shots, so it already shows up as *BLANK*. You can now select action 1 to clear the password, and then restart the VM from the main menu (I recommend Poweroff the computer). When you start the VM again, you should be able to login to the Administrator account without challenge. Yay! Now, back to our friends at top-password.com. Not only are they charging us $29.95 for the “professional” version (i.e. the one that actually does the password resetting), but they also throw in an Extended Download Service for $6.95. This is a backup service, in case you lose the pcunlocker in the next 2 years. After 2 years, of course, you’re on your own. Just to be clear: I have no problem with proprietary software. I have no problem with commercial software. But I do have a problem when you’re not up front about the terms of your so-called trial-ware. Be honest: we charge for our software, and here’s a little utility, for free, which will tell you if our program will work for you. Plus, that Extended Download Service is totally bogus. If I buy software from you, and I misplace it, you should send me a new copy gratis. It should be part of the service. But maybe I’m expecting too much from these guys. This entry was posted in knife the mac, tech, weekend sysadmin and tagged lost passwords, pcunlocker, trinity rescue kit, virtual machine, virtualbox, vm, Windows. Bookmark the permalink. Anybody have any advice if “No valid Windows installations found, exiting” occurs? I’m on a VMWare XP VM. I’m going to try it on VirtualBox to see if i get any better results. Thanks guys. I had the same error with Win7 in Virtualbox. The latest .iso fixed it for me. Dear Alfred – your advice saved my day! Many thanks! I can’t find words that are strong enough to describe my gratitude. You not only saved my day but more like my month and many months to come ! I’m so happy it helped you out! Thanks for the note: it helps keep me motivated to post more articles like this one. Nice tutorial! I purchased PCUnlocker Enterprise and it worked like a charm. The extended download service seems to be a bundled service but it can be removed from the shopping cart. good find. bravo. trinity rescue worked like a charm. Great post! I was able to reset my user password with ease, using that Trinity Rescue Kit utility you mention. Went for the user password instead of the admin one, worked like a charm. 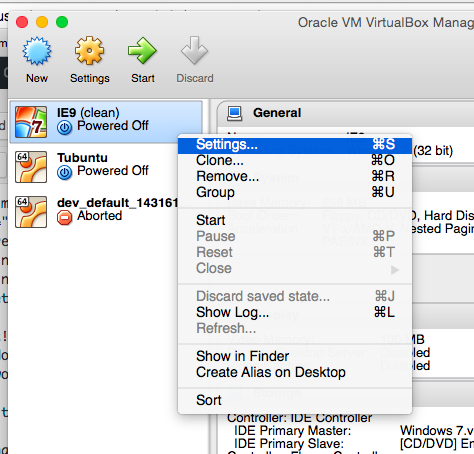 Using Oracle VM, with Windows 10 64 bits host and a Windows XP 32 bits virtual machine. Thanks a bunch! So happy the post helped you, Marc, and others, who also took the time to write. Hello, Does it work for win 7 or just XP ? I tried the steps and when I start my windows it just opens requesting the username and password normally. I expect it would work. Perhaps you skipped a step or two? Big thanks for this link. The latest version of the software solved my forgotten password problem. I can now use Windows server 2012 via virtualbox. I’m one happy dude. Thanks for this link. 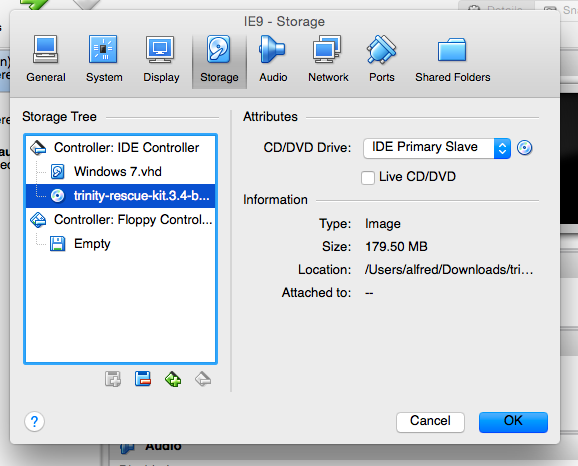 I used your advice to reset a Windows 7 VM on virtual box using the Trinity Rescue Kit. Still works! I had one admin user and one standard user. On the last-but-one screen shot the default “1. Reset password on built-in adminstrator” did not work for me. I tried the option for Winpass with prompt for user. I could then enter the name of the admin account and that worked. Thanks to the folks making Trinity Rescue Kit available (they take donations)! help me, my vhd got forget the password, but i have gave it with bitlocker password(still remember the password) with this pc unloker, can i clear the administrator password? please help me. No error messages, just didn’t seem to have any effect. Beta 3.4.397 the same.